Published to critical acclaim in 2009, the Historical Thesaurus of the Oxford English Dictionary is the first comprehensive thesaurus in the world to arrange words by meaning in order of first recorded use. 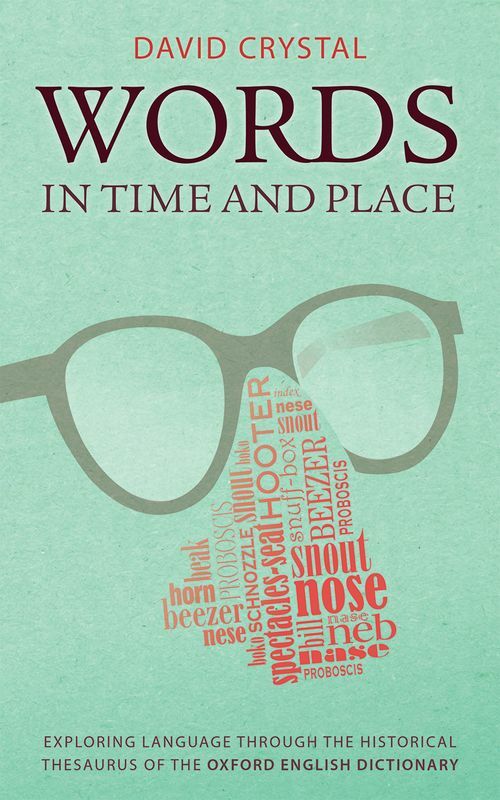 Using its unique perspective on how the English language has developed, Words in Time and Place takes 15 themes and explores the language in these areas over time - explaining when new words appeared, where they came from, and what such changes say about times in which they emerged. The themes chosen are varied, universal topics and show the semantic range of the thesaurus and what it can tell us about the words used in areas of everyday life. Learn about the different words for dying and money, or types of pop music, as well as words for a privy, oaths, and words for being drunk. Written by the world's leading expert on the English language, David Crystal, the book carries his trademark style of engaging yet authoritative writing. Each chapter features an introduction to the language of that topic, followed by a timeline of vocabulary taken from the historical thesaurus showing all the synonyms arranged in chronological order. The timelines are annotated with additional quotations, facts, and social and historical context to give a clear sense of how words entered the English language, when, and in which context they were used.